우리나라에서 처음으로 쌓아 만든 최고의 고대 저수지이다. 『삼국사기』에는 신라 흘해왕 21년(330)에 “처음으로 벽골제를 만들었는데, 둘레가 1천 8백보”라는 기록이 있다. 그러나, 이 시기는 이 지역이 신라 땅이 아닌 백제의 땅이었으므로 나중에 연도를 고쳐서 신라가 만든 것처럼 보이도록 해놓았을 가능성이 크다. 그러므로 실제로 만들어진 때는 백제 11대 비류왕 27년(330)으로 보아야 할 것이다. 그 이후 신라 원성왕 6년(790)과 고려 현종 및 인종 21년(1143)에 고쳐 쌓은 후, 조선 태종 15년(1415)에 다시 쌓았다. 그러나 좋은 점보다 나쁜 점이 더 많다고 하여 없어지고 말았다. 지금 유적에는 일직선으로 약 3㎞ 정도의 제방이 남아있는데, 1925년 ‘동진토지개량조합’에서 이 둑을 농사짓는데 필요한 물을 대는 통로로 고쳐 이용하면서 그 원래의 모습을 많이 잃어버리게 되었다. 제방의 북쪽에는 조선시대에 벽골제를 다시 쌓고 이것을 기념하기 위해 만들어 세운 비석이 있는데, 닳아서 글을 알아보기 어렵다. 1975년에는 저수지 물의 양을 조절하던 수문이 있던 자리 2곳을 발굴조사하였는데, 그 결과 대규모의 높은 수준의 측량기술이 이용된 공사였던 것이 밝혀졌다. 벽골제는 단순히 우리나라 최초의 저수지라는데 의미가 있을 뿐 아니라, 당시에 이미 이러한 저수지 축조가 가능할 정도의 고도로 발달된 토목기술을 보유하고 있었음을 입증해 준다는 점에서, 우리나라 과학기술사에서도 획기적인 사실을 제공해 주는 유적이다. These are the embankment and the monument of the reservoir made for the first time in the country. 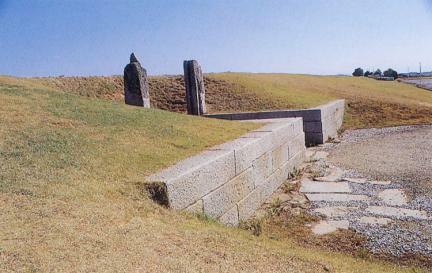 According to Kim Bu-sik's Samguk sagi (History of the Three Kingdoms), in the 21st year of the reign of King Heulhae of Silla (330), Byeokgolje Reservoir was made for the first time, and it had a circumference equal to 1800 steps. 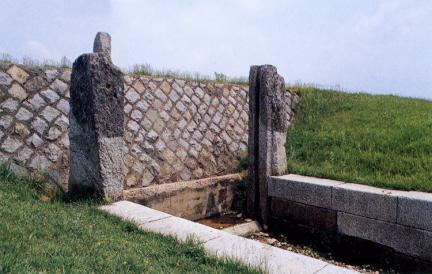 Since this area belonged not to Silla but to Baekje at that time, it was highly likely that the date of construction was forged by Silla to take the achievement in the Silla Period. 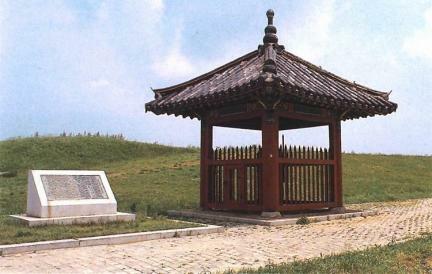 It was restored in the 6th year of the reign of King Wonseong of the Silla Period (790) and the 21st year of the reign of King Injong of the Goryeo Dynasty (1143) and was rebuilt in the 15th year of the reign of King Taejong (1415). Since it was assessed to have more demerits than merits, it was torn down. Today, the remaining part of the embankment spans about 3km. In 1925, however, the Association of Dongjin Land Improvement repaired and used it as an irrigation ditch for agricultural affairs, so its original form has been changed a lot. 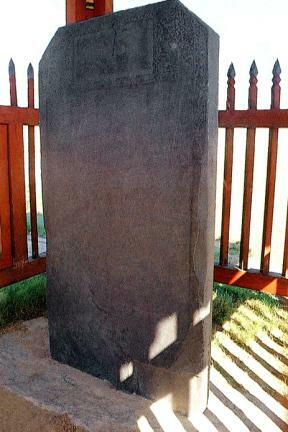 On the north of the embankment stands a monument, but it was worn-out. In 1975, two sites of the water gate to manage the water quantity of the reservoir were found; thus confirming that a high-level technique of large scale measurement was used. Byeokgolje gives us the epochal fact that the country had a high-level engineering technique in large construction at that time, beyond being the first reservoir.